Photo provided by: Ace Lane Jr. Comments: Very cool looking Modified powered by a small block. 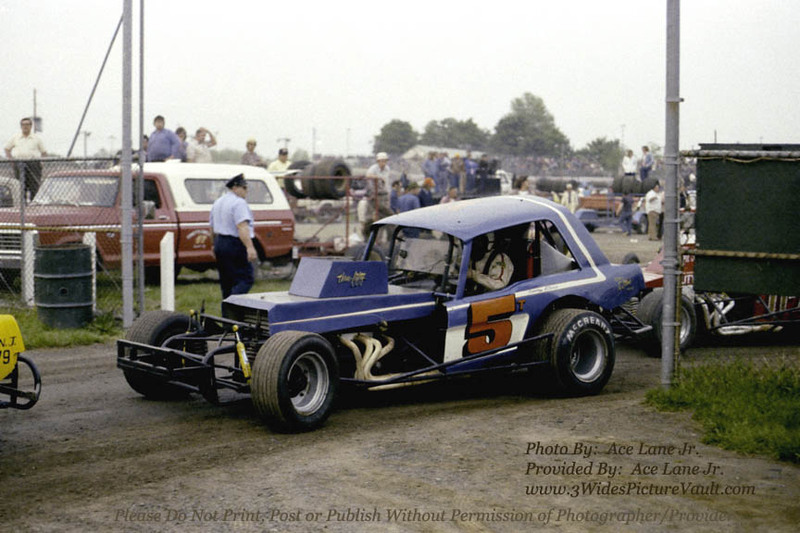 Not sure if Tom ever won a feature at Flemington, but he was a very steady runner and a consistent qualifier which back in the day, was quite an accomplishment week after week... Mustang body, with a real short trunk and a roof that looks a little taller than normal... Pretty cool stuff!